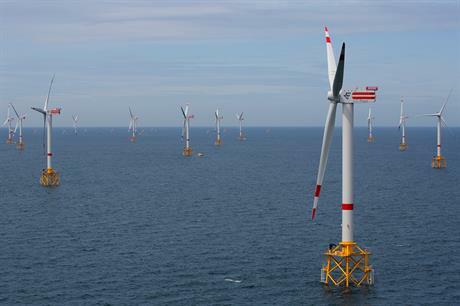 The commissioning of the 216MW Northwind project in 2014 helped boost Belgium's annual production. Belgium currently has three operational wind projects; Northwind, the 325MW Thornton Bank cluster and the 165MW Belwind site. Production should increase in the coming years with the addition of the Mermaid, Northwester 2, Seastar, Rentel, Norther and Belwind 2 projects all due online in the coming years. The six projects total 1.6GW and will take Belgium's total capacity to over 2.5GW by 2022. "Once all the windmills are there, the North Sea will deliver as much as 50% of the total annual household electricity," Tommelein said. The secretary of state also hailed the job opportunities the offshore sector creates. By building these offshore projects, 20,000 new jobs would be created, with 800 permanent jobs needed during the projects' lifetimes.